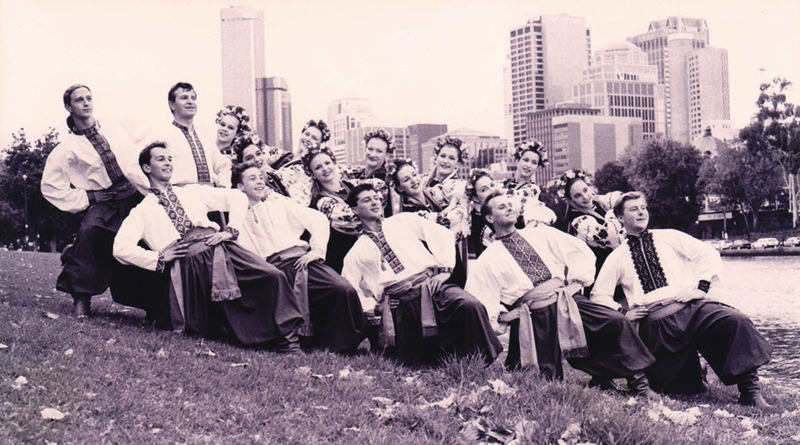 Verchovyna Ukrainian Youth Association Dance Ensemble originated in the 1950’s under the artistic directorship of Yaroslav Bulka one of the pioneers of Ukrainian Folk dancing in Melbourne. The Ensemble was formed by the Ukrainian Youth Association. The Ensemble ceased its activity for several years due to Yaroslav Bulka’s departure to Tasmania to pursue his professional career. In 1966 under the guidance of the President of the Ukrainian Youth Association, Yuriy Wenhlowskyj, the Ensemble was revived. Under the artistic directorship of Antonina Cybulska and her daughter Hanna Cybulska a foundation was laid for Verchovyna to become the largest Ukrainian Folk Dancing Ensemble in Australia. Under their directorship Verchovyna’s 50 dancers began to enchant audiences within the Ukrainian community and beyond. The year 1969 brought a new Artistic Director to the Ensemble, Stephanie (Moravski) Chudiak, a pupil of the late Antonina Cybulska. The number of students and performers continued to increase. During this period Verchovyna paid tribute to Roman Zanko who provided technical, musical and administrative assistance. 1975 brought another change. Natalia Moravski, who moved from Adelaide to Melbourne, becomes the new Artistic Director and under her leadership the Ensemble continued to grow. An orchestra was formed. The Ensemble performed extensively throughout Victoria – touring Geelong, Ballarat, Moe, Albury/Wodonga and Morwell. Verchovyna participated in many Ukrainian festivals and performed concerts in their own right from Adelaide to Sydney, Tasmania, and Canberra. 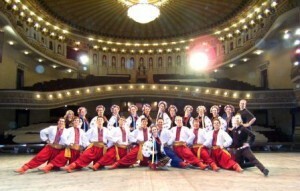 The Ensemble embarked on promoting Ukrainian Dance to the wider Australian community and featured in many performances, one of the highlights being “The Shell Folkloric Festival” at the Concert Hall. In 1991 when Verchovyna celebrated their 25th Anniversary at the National Theatre, the Ensemble numbered approximately 150. 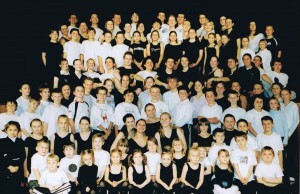 As Verchovyna grew the Artistic Director introduced a team of teachers who worked together making the Ensemble stronger. In 1991 Taras Galas took on the role of Senior Instructor. In 1993 Andrei Kostka replaced Taras as Instructor of Verchovyna’s Seniors. Both played an important role in the artistic development of Verchovyna during this period of time. The highlight for Verchovyna to date was undoubtedly its first international tour when they ventured abroad in 1994 to captivate audiences in Canada. Invited to participate in the “Folklorama” Festival in Winnipeg, Verchovyna also gave independent concerts in Calgary, Edmonton, Hamilton and Toronto. Sonja van de Camp was Choreographer and Instructor of the Senior Group at the time of the tour. During the “Folklarama” Festival, the Ensemble performed on 3 evenings to a packed auditorium. “Ukrainian Day” in Heritage Village, Edmonton saw Verchovyna perform before an audience of thousands. 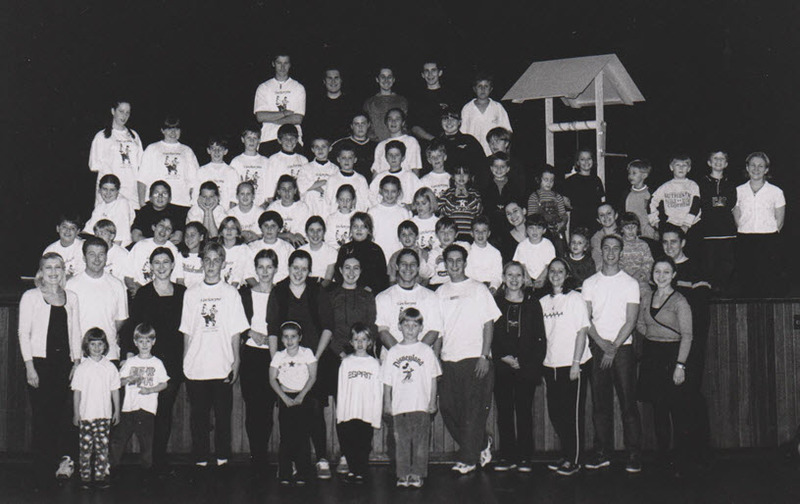 In 1996 Sonja van de Camp took over the role of Artistic Director and with her instructors had 120 dancers to teach, beginning from the age of 5. The Ensemble developed a rich repertoire of dances from various regions of Ukraine and the variety of costumes that accompany these dances. 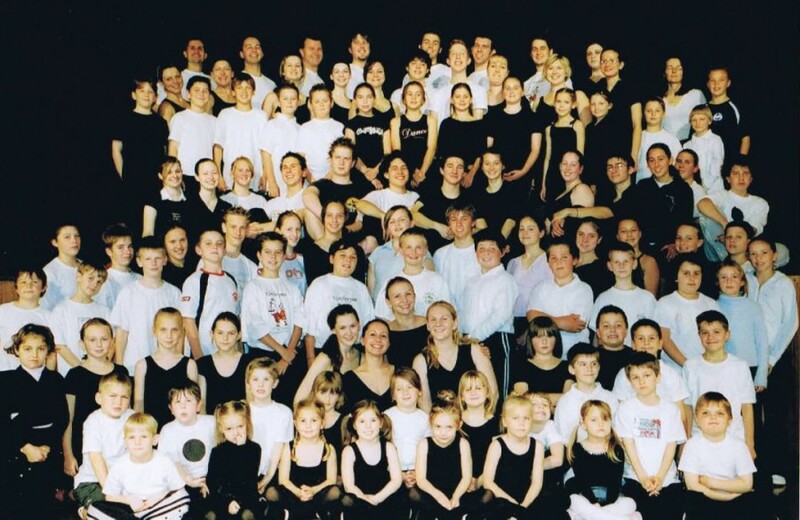 In 1998 Verchovyna formed an Artistic Committee, which included Vera Hlatki and Sonia Chudiak (Senior Instructors), Mark Anolak, Natalie Duma, Olenka Hawryluk, Kasiana Jaworski, Melanie Jursa, Christina Moravski, Juliana Moravski and Melanie Moravski. In 1999 Verchovyna produced “Seasons – a Life Dance” staged by Sonia Chudiak and Vera Hlatki touring Melbourne and Sydney. In 2000, they participated in the Olympic Torch Ceremony and in 2002 were invited to perform in the prestigious Spiegel Tent in Melbourne. The year 2003 saw Sonja van de Camp-Moravski return as Artistic Director. 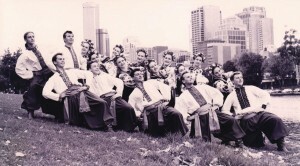 In 2004 the Ensemble staged “Tapestry of Ukrainian Dance” to 3 sold out performances in Melbourne and Sydney. This production encompassing the whole Verchovyna Ensemble of over 120 dancers showcased the rich, cultural traditions of Ukraine, through Ukrainian dance. Melanie Moravski, a former instructor, became Artistic Director in 2005. In 2008 Verchovyna embarked on yet another venture to internationally stage the “Discovery Tour” Entertaining Australian, Ukrainian and Asian audiences with an innovative and unique performance showcasing our heritage, Verchovyna was most proud to bring this tour, the ‘Discovery Tour’, back to their homeland of Ukraine, essentially retracing the steps of their forefathers. In 2014 a new Artistic Team leads Verchovyna towards its 50 Continuous Years of celebration: Lesia Rudewych, Justine Chudiak, Vera Cicala, Andrei Kostka, Daniel Jurczyszyn, Mary Lech and Emilia Lech. This innovative team continue Verchovyna’s dynamic example of community building, teaching Ukrainian culture, history and heritage though dance – arguably the most recognisable national art form of Ukraine. From 2015 to the present day, some new faces join the Verchovyna Artistic Team : Lesia Rudewych, Vera Cicala, Nadia Herczaniwski, Daniel Jurczyszyn, Andrei Kostka, Emilia Lech, Adam Masendycz and Juliana Moravski. This team of contemporary dance instructors volunteer their time within Verchovyna and artistically lead the 50 continuous years celebrations which encompass 2 milestone events; ‘VOROZHKA’ – Verchovyna 50 Continuous Years Concert and the Verchovyna 50 Continuous Years Banquet..
Verchovyna is a very active Ensemble. In between the preparation to stage its own concerts, it performs at a variety of functions, both Ukrainian and in the wider community. After 50 years, it is impossible to imagine a Ukrainian Concert in Melbourne or a Ukrainian Festival in Australia without the participation of Verchovyna, whose name has been permanently recorded in the history of Ukrainians in Australia.